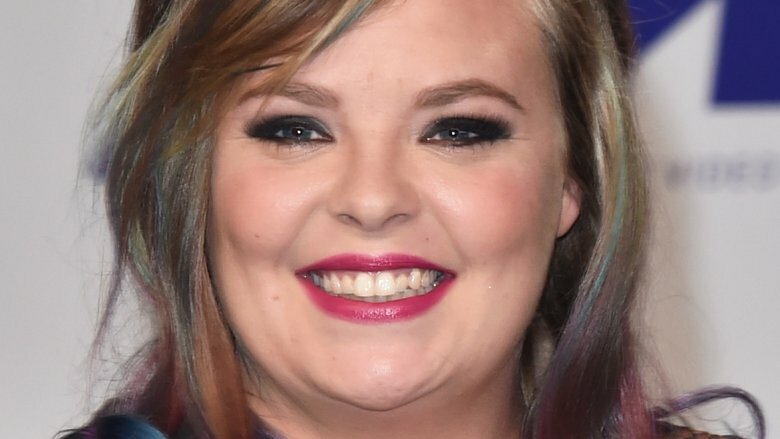 Catelynn Lowell of Teen Mom fame is expecting another little bundle of joy! 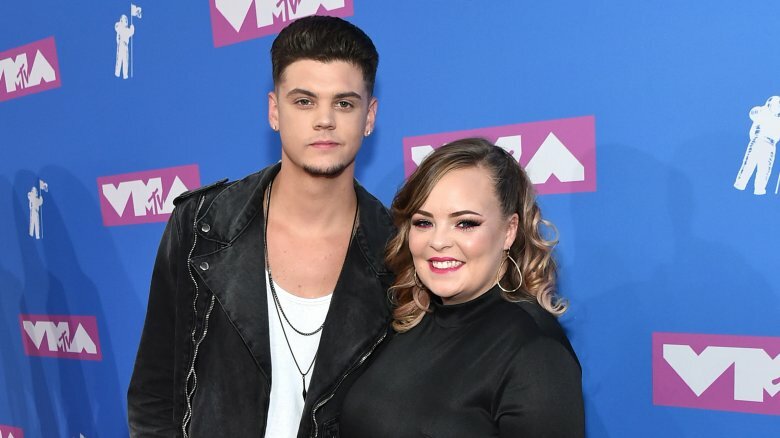 Speaking to Us Weekly, Lowell and her husband, Tyler Baltierra, announced that she is pregnant with their third child together. "The big news is that we are expecting our rainbow baby. This baby is our rainbow after the storm. I'm super excited," Lowell told the magazine. "It was a huge shock at first." Noting that they'd planned on waiting a while before having another kid, Lowell shared, "We were using protection and everything and still got pregnant. This baby just wanted to be here. It was very unexpected." Part of the reason why Lowell, 26, and Baltierra, also 26, had wanted more time before having their next child was that they had suffered a miscarriage not too long ago. Their heartbreaking experience was documented for Teen Mom OG in an episode that aired in February 2018. Lowell's mental health took a hit after the miscarriage, and she wound up checking herself into an Arizona treatment center, seeking help after having suicidal thoughts (via Us Weekly). At the time, Lowell had said that her miscarriage had "felt very similar" to when she and Baltierra had given their first child, daughter Carolyn Elizabeth (nicknamed Carly), up for adoption in 2009. "Carly's a little different because we get to see her every year, but it's a loss," she said. "I feel like you process it as a loss." Lowell and Baltierra, who married in August 2015, were also hesitant to grow their family so soon because of the post-partum depression that Lowell had experienced after giving birth to their second child, daughter Novalee Reign. "I've definitely been thinking about it and that's the one thing that's holding me back, honestly," Lowell explained to People in April 2017. "Especially because they say if you've had postpartum once, you have a higher chance of getting it with your next." She continued, "I want to have a big family and have a lot of kids, but it's scary. It's definitely scary." We hope Lowell's current pregnancy goes smoothly. Congratulations to her and her husband!